Through The Lens: oooooooh a new toooy!!!! Well, i have been getting enough work that i was able to order a new toy!! 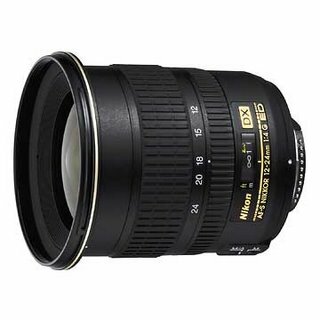 I placed an order for the Nikon 12-24 DX zoom lens.........finally i get my wide angle capability back!!!! I am super excited right now and cannot wait for this lens to come in, i have been shooting all of my extreme wide anlge stuff with my fisheye right now. I cannot tell you how annoying that can be to only have one lens that can capture what you want and have your pictures start looking the same. So im checking my email on an hourly basis just waiting for the tracking number to come trough, and once it does i will be checking minute by minute just to see where in the country my package is. Be sure to check back soon as im sure that there will be new pics up as soon as it comes in. For now heres a screen shot of the lens.